Well Kansas and Missouri residents, here is one that is finally for us!! 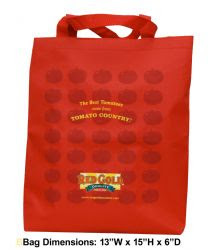 You can get a free reusable shopping bag from Red Gold Tomatoes!! Just fill out this form and yours will be sent to you. This offer runs through November 6th and as actually valid for residents of IL, KS, MI, MN, MO, OH, OK and WI.